Aren't these 2 x 3 inch Heart Notes fun? I'm going to use them as part of a "14 days of Valentines" . . . (don't worry the hunny never reads my blog). They would also be fun to write an activity or short love poem on for a valentine advent. 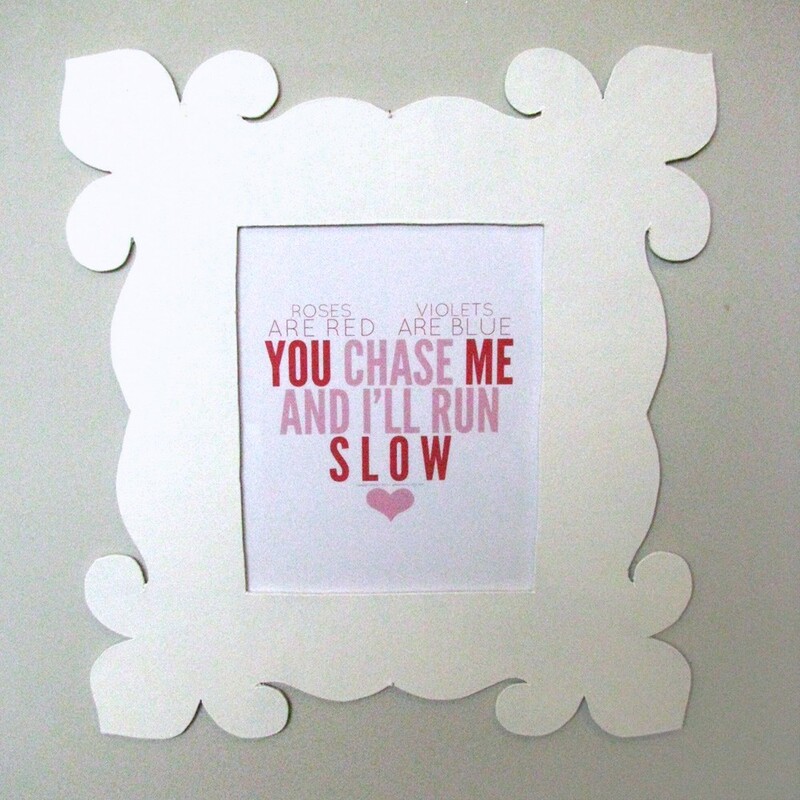 As mentioned previously, my "you chase me" poster also as a freebie. This one today only! Get it here. You are welcome to share the link to my blog, but please no sharing the "you chase me" file (I really want to buy a decent printer (one that doesn't do pixilated banded printing, ugh)). Happy Running! Or Chasing . . . I just printed mine. I love it! those little journaling cards are just too cute! i love the you chase me and i'll run slow poster! i remember that from growin up! what is that from?? i forgot.